Thanks for coming to our after school defender class area. 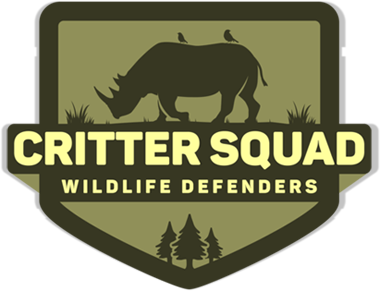 Critter Squad Wildlife Defenders has completed thousands of after school classes and we are on course to complete thousands more. We have recently created brand new classes, activities, and games to make sure all defenders enrolled have a memorable and educational time. Our after school classes are consecutive and last between 8-12 weeks long. Your Critter Squad Wildlife Defender education specialist will arrive on a weekly basis with an enriching curriculum that include games, activities, bio-facts, educational videos, and of course ANIMALS! Don’t forget all kids get a FREE defender prize on the last day of class! Please review all the class descriptions below! Did you know that the chicken is the closest living relative to the T-rex? Or that Velociraptor had feathers? In Dino Defenders class, we will explore the awesome giants that once roamed the planet! In class we will make dinosaur masks, excavate dinosaurs eggs, and spend some time with LIVING dinosaur relatives!! Join Dino Defenders Class TODAY! Have you ever counted the legs on a millipede? Or felt how smooth a snake was? Have you ever said “HI” to an iguana? Well in animal defenders class you can do all that and more! Join us as we explore the animal world with cool activities, awesome games, and OF COURSE, LIVE ANIMALS! In animal defenders class you will meet representatives from every major family! MAMMALS, REPTILES, AMPHIBIANS, INSECTS, AND BIRDS! Don’t miss out! Sign up TODAY! Do you know how many ribs a snake has? Did you know that tarantulas don’t have bones? What about how heavy an elephant is? In animal defenders class you will get to go on nature walks, explore owl pellets, touch animal bones, and more. Defenders will also explore BIOFACTS from all over the world, like beehives, a snake skeleton, and even get to see an ALLIGATOR SKULL. Sign up TODAY! Hey everyone! Are you guys ready to be true wildlife defenders? Join us for this hands-on wildlife biology class where you will learn all the tricks to becoming a wildlife defender! Learn wildlife biologist secrets like how to read tracks, spots venomous snakes, and how to help protect cool species! Defenders will make maps, watch a BULLFROG EAT, and hang out with some REAL WILDLIFE AMBASSADORS! Sign up TODAY! Scales, tails, nails, and tongues! That’s just the beginning of the reptile fun! Defenders in reptile class will explore the reptile world with exciting activities like making cobra hats and making frog slime! Defenders will even learn how to use a SNAKE HOOK and see the GIANT TORTOISE named GOLIATH! Sign up TODAY! Did you know that the killer whale is actually a dolphin? Or that a Blue Whale weighs over 300,000 lbs! Students in ocean defenders class will learn first hand what it is like to be a marine biologist. We will grow our own brine shrimp, draw with squid ink, DISSECT A SHARK, even explore a LIVE TURTLE, along with other ocean ambassadors. Become an OCEAN DEFENDER and sign up TODAY! Did you know that the chinchilla is one of the softest animals in the world? That guinea pigs are also called Cuey? Or that Crested Geckos have such small scales that they feel soft? Students in cuddly animal class will play games like BURROW BATTLES, eat oranges with a LIVE GUINEA PIG, and hop with a REAL RABBIT! Its fuzzy, feathery, and FULL OF FUN! Sign up TODAY! Did you know at any given time there are 10 quintillion living insects on earth? Insects come in all shapes and sizes from tiny worms to HUGE TARANTULAS, and they are one of the most important living groups on the planet! Defenders in insect class will have a blast exploring the insect world. Defenders will make their own ANTENNAE, learn the latest tricks for BUG HUNTING, and even explore some GIANT CATERPILLARS! Don’t miss out! Sign up TODAY!